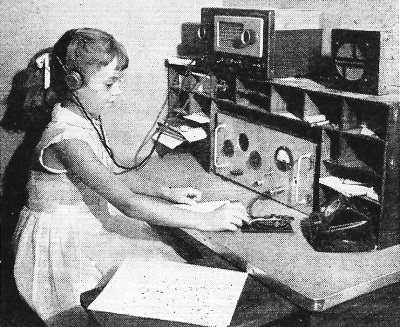 7-year-old Sharon Pakinas was celebrated as the youngest licensed female- aka 'YL' (young lady) - Ham radio operator in 1953. That was quite an accomplishment considering that she had to not only pass the written test which included FCC regulations, operational guidelines, electrical theory, but also pass a 5 word-per-minute Morse code test! From what I can find in a Google search, the current youngest licensed girl is 5½-year-old Rosalie White, from Long Beach, California, who earned her ticket in 1991 while a 5 WPM code test was still required. 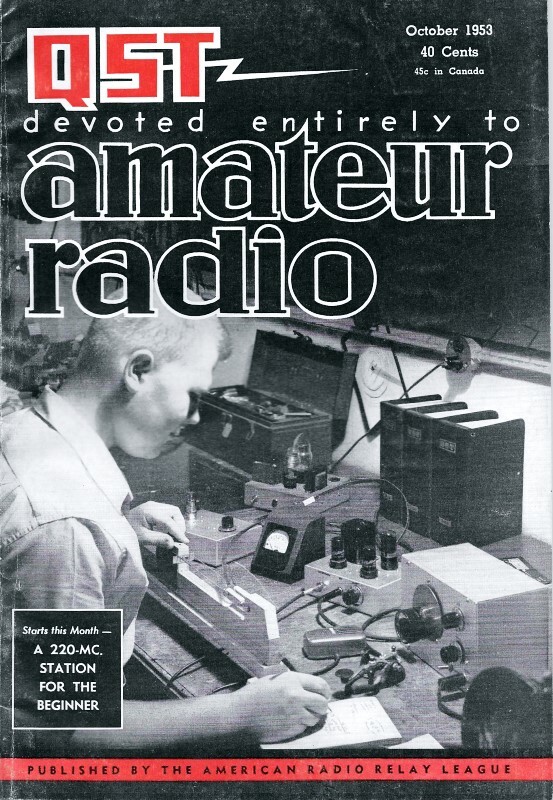 In 1991, the Morse code test for the Technician level license was removed, allowing easier access to Ham radio. The FCC dropped the Morse code requirement for all license levels in 2007. Seven-year-old Sharon Pakinas, of Bothell, Washington is undoubtedly the youngest YL amateur radio licensee. Sharon, who passed her Novice exam together with father Nick, starts third grade this fall. Sharon's kid brother Mike, only three, may be another fellow to keep an eye on!